When the host Ottawa Senators opened the second round of the NHL playoffs with a 2-1 victory over the New York Rangers on Thursday night, there were more than 2,000 empty seats in the Canadian Tire Centre. The howls of outrage could be heard all the way to Kamloops. Where were the fans? It likely didn’t help, either, that a parking lot close to the arena jacked up its fee fro $20 to $30. And did I mention that a double bacon cheeseburger and a tall boy beer would total $27.75? At some point, and perhaps we’re there now, sporting fans are going to tire of paying high prices to watch athletes who pull down much higher salaries than they do. Those in the corporate seats may always be there, but the average folks, I think, have about run out of the funds necessary to watch a lot of professional sports. I have always found it interesting when people, often media types who can’t remember the last time they had to pay for a ticket, question the loyalty of fans because they, for whatever reason, choose not to fork over their hard-earned dollars, not even for a playoff game. Of course, then there’s Edmonton, where thousands show up at Rogers Place even when the Oilers are playing a playoff game away from home. Last night, the winner of the 50/50 draw went home with $51,522. Two recent headlines of note . . .
At TheOnion.com: Clogged rain causes Orioles’ dugout to overflow with chewing-tobacco spit. At The kicker.com: LeBron passes Popovich for most wins by active head coach. Saw a young lady today who was wearing those cut up jeans that seem so popular these days. Had a thought: How do you put those on without catching your toes in the holes and causing even more damage? I spent 17 years at the Regina Leader-Post, the last 12 as sports editor, and for a lot of that time the Saskatchewan Roughriders weren’t far removed from the youngster next door with the lemonade stand. They were far removed from the big business that they are today. How much have times changed? 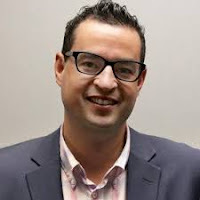 The organization swallowed another $36,500 in fines on Friday, something that ran the tab to $116,500 since Aug. 2. . . . As Rob Vanstone of The Leader-Post writes right here: “Six figures worth of sanctions do not take into account other questionable moves by the Roughriders.” . . . Ohh, how times have changed! Hey, Sportsnet, how about getting rid of the giant computer-generated logos that you love to put up on the hitters’ background on the camera shot from behind home plate? There is a reason why that background is big and blank. The Toronto Blue Jays jettisoned backup catcher Jarrod Saltalamacchia on Friday, then went out and blew a 3-1 seventh-inning lead in losing 7-4 to the visiting Tampa Bay Rays, who hit three eighth-inning home runs. Can we assume, then, that the 6-17 start wasn’t Saltalamacchia’s fault, even if he was only 1-for-25? . . . The Toronto bullpen now has blown eight of 12 save opportunities. The NHL’s Calgary Flames have lost 29 straight games in Anaheim; Calgary last won there on April 25, 2006. The Edmonton Oilers just posted two victories there in three days. D Spencer Humphries (Tri-City, Calgary, 2008-13) has signed a one-year extension with the Stavanger Oilers (Norway, GET-Ligaen). This season, in 45 games, he had 14 goals and 19 assists. Humphries led the league’s defencemen in goals as the Oilers won the Norwegian championship. . . .
F David Vrbata (Calgary, 2000-01) has announced his retirement from hockey. This season, with Neumarkt/Egna (Italy, Alps HL), he had fige goals and six assists in 12 games. He had four assists in 12 games with Benátky and Jizerou (Czech Republic, 1. Liga). Vrbata has accepted an offer to work in the marketing department for Czech Extraliga team Mladá Boleslav. He is from Mladá Boleslav. G Chet Pickard (Tri-City, 2005-09) has signed a two-year contract with Adler Mannheim (Germany, DEL). This season, with the Iserlohn Roosters (Germany, DEL), he was 6-14, 2.98, .920 in 26 games. Matt Cockell, the new president and general manager of the Kootenay Ice, says he and partner Greg Fettes will need help to get the WHL franchise back on track. The WHL’s board of governors unanimously approved the transfer of the franchise from the Chynoweth family to Fettes and Cockell, both of whom have been headquartered in Winnipeg, on Thursday. Earlier this month, Fettes and Cockell are said to have met with Lee Pratt, the mayor of Cranbrook, for about five hours. Mayor Pratt has told people that he felt “very positive” about the meeting. "This really is the City of Cranbrook and the East Kootenay region's team,” Cockell said. “That's how my partner, Greg, and I are approaching this, and in order for that partnership to be something that's really exciting and allows everybody to participate, we need to first and foremost get the chance to hear what that means for everybody. The Ice plays in the 4,264-seat Western Financial Place, which also has room for 352 standees. This season, the Ice had the poorest average attendance (1,754) in the 22-team league. that was down from 1,957 in 2015-16 and 2,239 in 2014-15. There was a time, in the early 2000s, when the Ice drew more than 3,000 fans per game. Of course, on the other hand, had the taxpayers of Nanaimo voted to allow city council to borrow $80 million that would have gone towards a new arena, the moving vans would be in Cranbrook and the Ice would be moving to Vancouver Island in time for the 2017-18 season. Nanaimo taxpayers voted 80 per cent not to allow city council to borrow the money, so the Ice now has new owners who are about to get to work in Cranbrook. Austria and Korea have advanced to the top division of the IIHF World Championship after finishing in the top two spots at the Division I Group A championship that concluded Friday in Kyiv, Ukraine. . . . Austria finished the tournament in top spot after beating Poland, 11-0, in the final game. 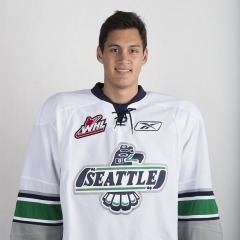 The Austria roster includes F Brian Lebler, who was a seventh-round selection by the Kamloops Blazers in the WHL’s 2003 bantam draft. He had four goals and an assist in five games. . . . Korea finished second after scoring a 2-1 shootout victory over host Ukraine. D Alex Plante, a former WHLer, is on the Korean roster. He had two goals and an assist in three games. . . . Plante was named to the tournament all-star team, was was F Nigel Dawes, another former WHLer, who plays for Kazakhstan. Dawes led the tournament in goals (5) and was tied for the points lead (9), in five games. . . . Former NHLer Jim Paek is the Korean team’s head coach. He won two Stanley Cups with the Pittsburgh Penguins. . . . The 2018 World Championship is scheduled to be played in Copenhagen and Herning, Denmark. In the OHL, the host Erie Otters scored a 4-2 victory over the Owen Sound Attack on Friday and now lead the Western Conference final, 3-2. Game 6 is scheduled for Sunday in Owen Sound. The winner of that series will meet the Mississauga Steelheads in the championship final. In the QMJHL, the host Saint John Sea Dogs blanked the Chicoutimi Sagueneens, 4-0, to take a 3-2 lead in that semifinal. Game 6 is scheduled for Sunday in Chicoutimi. . . . The other semifinal, featuring the Blainville-Boisbriand Armada and Charlottetown Islanders, resumes today. The Aramada holds a 3-1 lead as they go into Charlottetown for Game 5.
on Sunday. . . . Brooks, the Pats’ captain, has seven points over the last two games. . . . Last night, Regina F Dawson Leedahl broke a 3-3 tie with his 11th goal of these playoffs, at 6:25 of the third period. Leedahl one-time a nifty backhand pass from Brooks, who was cruising behind the Lethbridge net. . . . Leedahl has goals in three straight games. . . . F Josh Tarzwell gave Lethbridge a 1-0 lead at 2:53 of the first period as he scored his first WHL playoff goal. He left shortly after that with an undisclosed injury and didn’t return. . . . 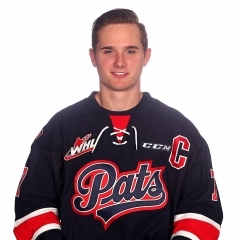 The Pats tied it as D Josh Mahura (3) scored at 15:37. . . . Lethbridge went back in front when F Ryan Vandervlis, who had eight regular-season goals, scored his seventh of the playoffs, on a PP, at 3:04 of the second period. . . . The Pats took the lead on second-period goals from F Sam Steel (8), on a PP, at 5:10, and F Filip Ahl (3), at 11:29. That was Ahl’s first goal of the series. . . . Lethbridge pulled even at 13:54 as F Egor Babenko got his ninth goal. . . . That set the stage for Leedahl’s winner, with F Austin Wagner (13) adding an empty-netter at 19:57. . . . Shortly after Leedahl’s goal, the Hurricanes found themselves with a 5-on-3 PP for 1:30, but they weren’t able to score. . . . Wagner also had two assists, with Steel and Leedahl adding one each. . . . Vandervlis added an assist to his goal for Lethbridge. . . . G Tyler Brown earned the victory with 29 saves, three more than Lethbridge’s Stuart Skinner. . . . Regina was 1-2 on the PP; Lethbridge was 1-4. . . . The Pats had the speedy Wagner back in the lineup after he missed the previous game with an undisclosed injury. . . . The Hurricanes again scratched F Matt Alfaro, and they also took out F Ryan Bowen. . . . Announced attendance: 6,484, the 23rd sellout at the Brandt Centre this season. Watching Ethan Bear in pre-game skate. Attempts to shoot but his left hand, where injury occurred, can not stay on stick on follow through. Based on warm-ups, I can't imagine Bear plays tonight. Not seeing anything on his wrist shot at all. Hasn't even wound up for a slapper. Conference final with Game 6 in Kelowna on Sunday. . . . In a game that featured 18 power-plays and six PP goals, Seattle took advantage of two Kelowna turnovers to grab a 2-0 first-period lead, F Scott Eansor (5) scoring while shorthanded at 3:15 and F Sami Moilanen (4) counting on a breakaway at 10:57. . . . Kelowna pulled even on PP goals from F Calvin Thurkauf (8), at 12:07 of the first period, and F Nick Merkley (6), at 9:23 of the second. . . . Seattle countered with a pair of PP goals in a span of 1:20 late in the period. F Alexander True (6) broke the 2-2 tie at 17:34 and F Ryan Gropp (4) added insurance at 18:54. . . . True added a second goal, on another PP, at 6:57 of the third period. . . . Kelowna F Dillon Dube (7) completed the scoring with, yes, another PP goal, at 19:25. . . . Seattle was 3-8 on the PP; Kelowna was 3-10. . . . Seattle F Mathew Barzal had three assists, with D Turner Ottenbreit adding two and Moilanen one. . . . The Rockets got two assists from D Cal Foote. . . . The Thunderbirds got 37 saves from G Carl Stankowski, while Kelowna’s Michael Herringer turned aside 19. . . . Seattle D Ethan Bear took the pregame warmup but it was apparent that he was having difficulty handling the puck and he was scratched. He suffered a hand injury — Taking Note has been told that there is a break — while blocking a shot late in Game 4. . . . Seattle G Rylan Toth was scratched again. He has yet to dress for a playoff game. . . . With Bear out, D Jake Lee, a 16-year-old who played four regular-season games, made his WHL playoff debut with Seattle. . . . Announced attendance: 5,001.